Adelaide Ahwireng is a quantity surveyor by training and a leading woman entrepreneur in Ghana with over 21 years proven expertise in the distribution of Fast Moving Consumer Goods (FMCG), business development, sales and marketing. She holds and Bachelor of Science degree in Building Technology from the Kwame Nkrumah University of Science and Technology (KNUST) in Ghana and an Executive Certificate in Management and Leadership from the Massachusetts Institute of Technology’s Sloan Business School in the USA. 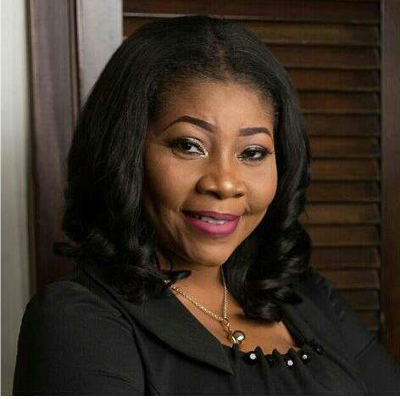 Upon completing her bachelor’s degree, she worked as a quantity surveyor for the State Construction Company (SCC) for 14 years, rising to the position of Region Quantity Surveyor for Greater Accra before leaving to pursue her passion in entrepreneurship. She is the Founder and Managing Director of Fio Enterprises Limited, a leading business in the FMCG segment, distributing products mainly for Unilever Ghana Limited and Nestle Ghana Limited. Under her leadership, Fio Enterprises Limited has been adjudged the Best Distributing Company for Unilever Ghana Limited, Nestle Ghana Limited and Ghana Breweries Limited for several consecutive years. Her strong leadership, analytical, innovative and managerial skills and insights have attracted invitations to serve on the boards of key corporate institutions in Ghana and given her the opportunity to influence the direction, growth and sustainability of the investment sector in Ghana. She currently serves as a board member of the Ghana Revenue Authority, the Advisory Board of the Ministry of Trade and Industry, Wesley Girls’ High School Endowment Fund, Corporate Initiative Ghana and the KNUST Centre for Business. She is also a board member of E-Pack Investment Limited, subsidiary of Databank Investment Group, and has been part of the team that has over the years contributed to the direction, growth and sustainability of Databank in Ghana. Her superior entrepreneurial abilities have been recognized and applauded consistently over the last two decades. In 2015, Business Magazine named her the Most Outstanding Female Entrepreneur of the Year. 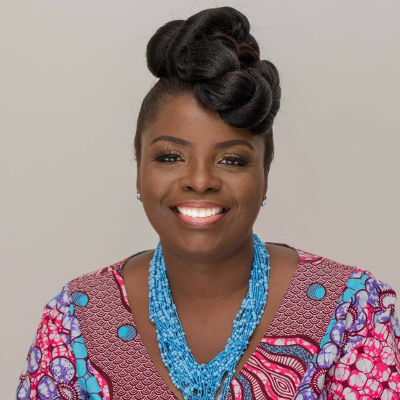 She was named one of the 100 most outstanding women entrepreneurs in Ghana, the KNUST Alumni Personality of the Year in 2006, the recipient of the West Africa International Nobles Award in 2004 and the Chartered Institute of Marketing (CIMG) Marketing Woman of the Year in 2003. In 2014, she was inducted into the Ghana Entrepreneurs Hall of Fame. She previously served as a member of the Presidential Economic Advisory Council under the government of Prof. John Evans Atta Mills, and as a non-Executive Director for several organizations including the HFC Boafo Micro-Finance, the Center for Scientific and Industrial Research – Animal Research, the Ghana Civil Aviation Authority and the Private Sector Development Board of Ghana. She is an Honorary Member of the Chartered Institute of Marketing (CIMG) and the first female Chairperson of the Parents-Teacher Association her alma mater, Wesley Girls’ High School. Rebecca Naa Okaikor Akufo- Addo was born on the 12th of March 1951. She trained as a legal secretary and worked for prominent multinational law firms, including Clifford Chance and Ashurst Morris Crisp, in the United Kingdom. She is a passionate philanthropist with a keen interest in issues that impact women and children. She is a founding member and chairperson of the charity, Infanta Malaria Prevention Foundation founded in 2005, to support the national effort to reduce malarial infections in infants and young children. Since 2017, the charity has added the eradication of malnutrition to its scope of work, having recognized the inter relation between malaria and malnutrition, particularly in children. As First Lady she has established The Rebecca Foundation with a focus on the well-being of Ghanaian women and children through the implementation of sustainable, collaborative and high impact strategies. 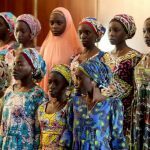 Education of children, the health of women and children and economic empowerment of women are the three main intervention areas under the Rebecca Foundation. In response to avoidable deaths of women and children as a result of lack of space, the First lady has raised funds to construct a baby and mother unit at the second Tertiary health institution in Ghana- the Komfo Anokye Teaching Hospital; an initiative which will be extended to other parts of the country. Mrs Rebecca Akufo-Addo is the premier ambassador for HIV/AIDS Advocacy, elimination of mother to child transmission as well as Empowerment of Young Women and Adolescent girls in Ghana, and is keen to ensure Ghana meets all its HIV/AIDS targets. As the West African Chair of the Organization of African First Ladies Against HIV/AIDS (OAFLA), she is committed to ensure that Africa is free from HIV / AIDS, and maternal and child mortality. She is a patron of the School for the Blind at Akropong in the Eastern region of Ghana and Cancer Voices, a Ghanaian coalition of Non-Governmental Organizations, against all cancers. She is married to the President-Elect of the Republic of Ghana, Nana Addo Dankwa Akufo-Addo and they have five daughters and five grandchildren. She loves floristry and also enjoys interior decoration. Patrick Awuah is the Founder and President of Ashesi University College, a private, not-for-profit institution that has quickly gained a reputation for innovation and quality education in Ghana. Patrick served on the Advisory Committee on Voluntary Foreign Aid (ACVFA) of the U.S. Agency for International Development from 2010 to 2016. He is a Fellow of the Africa Leadership Initiative of the Aspen Global Leadership Network; a member of the Council on Foreign Relations; and a member of the Tau Beta Pi honor society for excellence in engineering. Yvette Adounvo Atekpe has been managing customer focused organizations in the Telecommunications and IT sector for over 20 years, and has been proactively involved in establishing world-class customer service teams and processes for successful start-up ICT organizations in Africa. Yvette handled the sales and marketing portfolio for Interlink Communications, a Regional distributor for Rank Xerox and British Telecom in Ghana and Francophone West Africa from 1989-1991. She then established the customer service department for the joint venture between AT&T and KIL Ghana Ltd (Celltel), a telecommunications start-up in 1995. 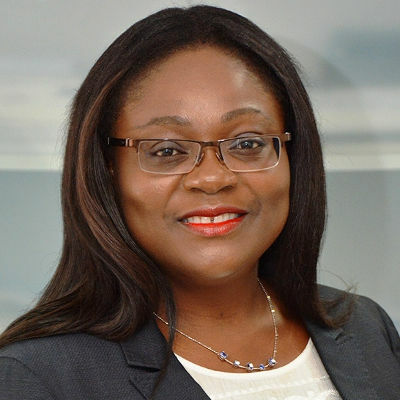 Yvette Adounvo Atekpe’s passion for outstanding service delivery was evident during her tenure with Celltel Communications Ghana Ltd. a subsidiary of Hutchison Telecom, Hong Kong, as Commercial Manager for Ghana. She designed effective services marketing strategies, formulated and implemented policies and procedures which propelled the organization in becoming an industry standard for customer service delivery in Ghana. Yvette, representing Celltel Communications was subsequently made a member of the National Communications Policy Planning Committee, which sought to draft and implement an effective Communications Policy for Ghana in 1999. Yvette was later engaged for a period of 5 years from 2000 – 2005 as Customer Service and Support Manager with Africa Online, where she assisted in restructuring the organization and setting up a formidable customer service team. Yvette Adounvo Atekpe then joined Accelon Ghana in 2005 as Head of Service Management and Support; and took up the challenge in 2007 as Regional Managing Director for Accelon Ghana Limited, headquartered in South Africa; and successfully steered the organization via its acquisition through Dimension Data Middle East and Africa. Accelon thus evolved under her able leadership to become IS Internet Solutions Ghana Limited (A division of Dimension Data), thereby turning the company around from a loss making entity to profitability and emerging the fastest growing subsidiary within the Internet Solutions global business portfolio in 2015. As its Chairman and Regional Managing Director, Yvette is currently charged with business development of Internet Solutions in Ghana and expansion into the African Sub-region, a position she has held from 2008 to date. 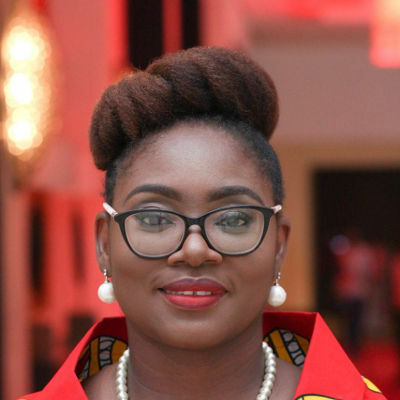 Yvette Adounvo Atekpe currently Chairs the board of Internet Solutions Ghana, and served as Director on the boards of Dimension Data West Africa and Internet Solutions Mozambique. 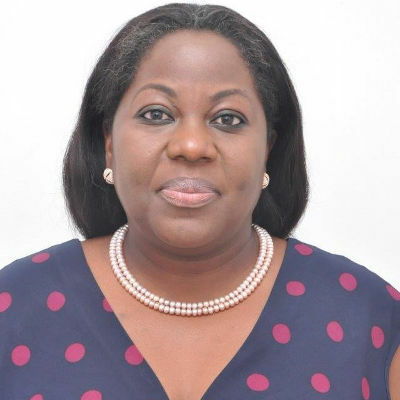 She previously served on the board of Quality Insurance Company and the Ghana Internet Service Providers Association (GISPA) as its Director for Communication. Yvette was awarded the ICT woman of the Year 2014 and Industry Personality of the Year 2016 at the Ghana Telecom Awards Gala. 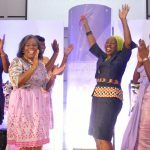 She was further ranked among WomanRising Top 50 Corporate Women leaders in Ghana. Yvette Adounvo Atekpe brings to bear extensive experience in churn management, customer relationship management; project management; excellent people skills and enhanced service delivery efficiencies to guarantee overall customer satisfaction and business profitability. Yvette studied Law and Philosophy at the University of Ghana, with a major in Sociology (B.A. Hons); a PGD in Marketing of Services from the Maastricht School of Management in the Netherlands and earned a CBA from the Ghana Institute of Management and Public Administration. She has undertaken various Finance, Human Resources and ICT Management courses and e-learning at Banking College, MDPI and DDU. She is a product and past school prefect of the Holy Child School in Cape-Coast. Yvette is passionate about advancing the status of women and children in society and served as President of the Zonta Club of Accra II, and as the Board Chair for Zonta District 18 Young Women in Public Affairs. She was co-opted a member of the Ghana Ministry of Communications Committee on promoting Girls in ICT. 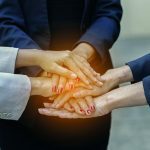 She is a member of the Executive Women Network. Yvette is fluent in English, French, Ga, and Twi. She is a stickler for discipline and work ethics, and has great sense of humour. She is a practicing Catholic and married with 2 children. Patience joined Barclays Bank Ghana as Finance Director in November 2008 and was appointed unto the Board in March 2010. In October 2013 she was appointed Managing Director of Barclays Bank Of Ghana. Prior to joining Barclays, she was the Chief Financial Officer (CFO) of Standard Chartered Bank, South Africa and was based in Johannesburg. She had previously worked in Standard Chartered Bank, Ghana in senior roles in both Finance and Corporate Banking departments. She has over 23 year’s in-depth experience in Banking and Finance having spent the recent 16 years in the banking industry. Patience is a very experienced and well-rounded business leader with strong commercial acumen. Over the last three years as Managing Director of Barclays Bank Ghana, Patience has built a high performing and more diverse leadership team; and under her strong business leadership, the performance of Barclays Bank Ghana has consistently exceeded targets resulting in the business regaining Top three revenue and profit position in the local industry, achieving higher return on equity (the highest among the Barclays Africa Subsidiaries). In addition, her passion for excellent customer service has translated into greater customer focus across the bank as well as greater focus on innovation. The marked progress seen on her watch has led to employee engagement being at its highest. She holds an MBA (Finance) and a BSc in Business Administration (Accounting Option, First class honours), both from the University of Ghana Business School. She is a certified professional accountant and a member of the Institute of Chartered Accountants, Ghana. 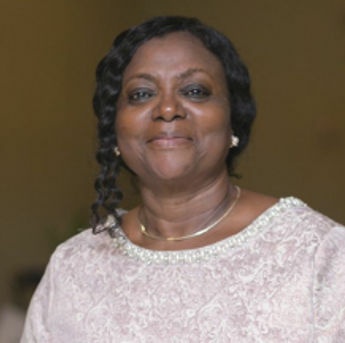 Patience’s additional roles and responsibilities include Advisory Committee member, Ghana Infrastructure Investment Fund (April 2017 to date); Member of Governing Council, National Banking College (March 2017 to date); Advisory board member, College of Education, University of Ghana, Legon (March 2015 to date); Executive Council Member, Executive Women Network, Ghana ( April 2015 to date); and Sponsor, Women’s Network Forum- Barclays Bank of Ghana ( November 2013 to date). 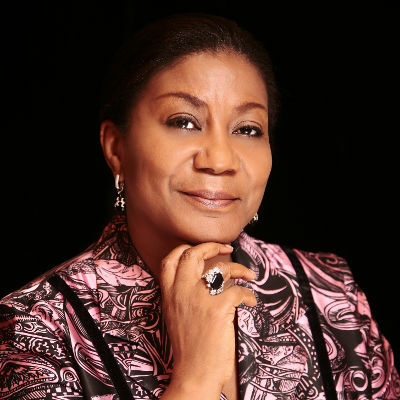 Patience has received various awards in recognition for her personal contribution to the industry and society; namely Nobles International Award (2013), Africa Female Economic Champion-Banking (Centre for Economic & Leadership Development (CELD)-2014), Induction into Global Women Leaders Hall of Fame (CELD- 2014) and Woman of Excellence in Finance (Ghana CFO Awards 2015). She was named among the Top 50 Rising Stars in Africa (Euromoney Article, May 2014 edition). 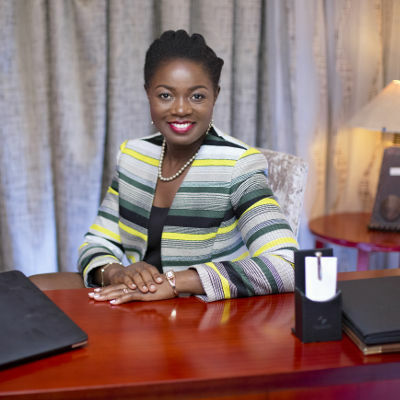 Patience was also named Second Most Reputable Banking and Finance CEO in Ghana – 2017, and is among the Top 50 most influential Corporate Women in Ghana. Corporate awards won under her leadership as Managing Director of Barclays Bank of Ghana include Best Bank in Ghana (Euromoney Award for Excellence-2014), Best Investment Bank in Ghana (Winner, EMEA Finance Awards 2014), Best Domestic Cash Management House ( Euromoney Awards-2014), Africa Best Employer Brand (Africa Best Employer Brand Awards-2014), Top 50 Best Global Employer Brands Institute (EBI, 2015), Best Corporate Bank in Ghana ( The Banker Africa, West Africa Awards 2015), Best Organisation in Peformance Management (Ghana HR Awards, March 2017) , Best Organisation in Rewards( Ghana HR Awards, march 2017), among others. Mrs. Theresa Ayoade is the Executive Director of MULTIPLE CONCEPTS GROUP – one of West Africa’s leading Marketing Communication firms with Subsidiaries in Ghana, Nigeria, Sierra Leone, Liberia and Cape Verde, specializing in 360 Communications Solutions. She is the CEO of CHARTERHOUSE, Ghana’s leading Events Management, Audio-visual and TV Production company with over 20years experience in the Management of Public, Corporate and National Events, Audio-visual and TV Productions. She has led the Production of Public events such as The Annual Ghana Music Awards Festival (18yrs), A Night of 1000 Laughs Comedy Series (24 editions), Miss Malaika Ghana (14yrs), Ghana Rocks Concert (6yrs), Big Music Concerts featuring international stars like JAY Z, SHAGGY, BUSTA RHYMES, BOYS TO MEN, AKON and others. She has also overseen over 800 Corporate events such as Launches, Conferences, Awards Ceremonies and many more for Local, Multinational and International Organizations as well as National Events like the Can 2008 AFRICA AS ONE Welcome Concert, [email protected] Concert and a host of TV productions such as AGORO, IT TAKES 2, THE CHALLENGE and many more. She holds a BA Psychology Degree from University of Ghana, Legon. Prior to becoming an entrepreneur, she was Sales Manager of LUV FM in Kumasi and Promotions Manager of JOY FM. She is Passionate about the Creative Arts Industry. Janet is a FMCG Marketing Strategy Consultant, an expert in Food for Africa and currently pursuing her entrepreneurial vision as the CEO of JANE’M Salon & Spa located in Dzorwulu. She is also the CEO/co-founder of AFRIBIZ Group Limited, a consortium of companies providing consultation services in FMCG Marketing Strategy, IT Solutions and SME Business Development in Africa. She has 22 years working experience in various top managerial positions in the FMCG industry in several African countries including Ghana, Nigeria, Cote d’Ivoire, Kenya, Zimbabwe, Mozambique, Algeria, Angola, Mauritius, Senegal, Congo and several others. She has further work experience in Switzerland and Spain. She holds an MBA (Marketing) 1994 from the University of Ghana Business School and a BA in English & Russian, (First Class Honors) 1991, from the University of Ghana. She also has Leadership Training from the London Business School, 2010, Switzerland and Spain. From September 2014 to August 2016, Janet worked with GB Foods, the leading Spanish FMCG company as Marketing Director for Africa and the Middle East. Prior to this, Janet worked with Nestle for 20 years in various Senior Business Development and Marketing positions in different African countries. With over 11 years expatriate experience, Janet has developed capabilities to adapt to different economic and social environments with leadership skills to achieve results through multi-national and multi-functional teams including R&D, Sales, Finance, Technical, Supply Chain, Research Agencies and Communication Partners. She has also worked with global corporate teams on entrepreneurial projects including business development and manufacturing. She is an adept French and English bilingual communicator, a motivational speaker with a strong ability to develop in-depth understanding and insights into different aspects of the business environment and to translate these insights into strategies for innovation, brand building and business development. Janet believes that good nutrition and family nurturing are the backbone of a nation. Her passion for this has resulted in the implementation of several initiatives on direct and experiential platforms to educate women on good cooking habits and good nutrition. Under her Leadership, the MAGGI brand developed strong leadership positions in Ghana, Cote D’Ivoire, Nigeria and Congo. MAGGI won the NIMN (National Institute of Marketing Nigeria) 2006 Best Seasoning in Nigeria. MAGGI Tablet Launch in Cote d’Ivoire rolled out in Central & West Africa – won the Global Nestlé Bronze award at the NESTLÉ INNOVATION AWARDS 2006. 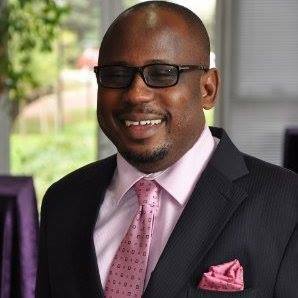 Dr. Robert Ebo Hinson is Professor and past head of the Department of Marketing and Entrepreneurship at the University of Ghana Business School. He is also coordinator of the MSc. International Business Degree at the Business School. 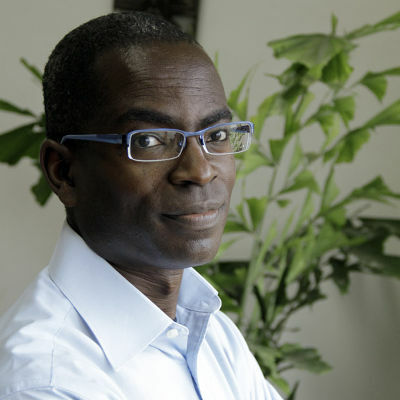 A holder of a doctorate degree in Marketing from the University of Ghana and a second in International Business from Aalborg University in Denmark, Dr. Hinson has delivered hundreds of sales, marketing and customer service lectures and workshops in North America, Australia, Asia, Europe and in several African countries. He chairs the board of TeleMedia Communications and sits on the board of Camelot Limited; a listed firm in Ghana. Matilda Asante-Asiedu is a Senior Manager and Head of the Exclusive Banking Group at Access Bank Ghana Plc. Her portfolio spans Private Banking, Women Banking as well as Embassies and NGO’s. leadership, the Bank built enormous brand value and grew to become one of the most respected banks in the industry winning many awards including Best for Corporate Social Responsibility twice and the coveted Bank of the Year award in 2013. She has over a decade’s experience in Media, working as Managing Editor and News Anchor at JOY FM, Ghana’s most influential private radio station. Matilda has served in many capacities where her contributions and insights have facilitated the development of the media landscape in Ghana. Lucy Quist is an international business leader and the CEO of Airtel – one of Ghana’s largest telecommunications companies and an industry leader in data and digital innovation. She believes in harnessing the potential of people to deliver outstanding results in business to improve society. Lucy has a reputation for transforming businesses for growth even in the most challenging situations. Since taking over the helm of affairs at Airtel Ghana, as the first Ghanaian woman to lead a multinational telecom company, Lucy has successfully repositioned the company into one that plays a significant role in connecting people to improve their lives. The company has won more than 20 awards in two years. Lucy has been recognised by reputable organizations for her transformational and inspirational leadership, her exceptional strategic marketing insights, selfless dedication to growing people and for championing causes that are shaping the lives of young people. Notable among these are – CIMG Marketing Woman of the year (2014), Telecom CEO of the Year (Ghana ICT and Telecoms Award 2016) and CSR CEO of the year (Ghana CSR Excellence Awards 2016). great leadership will create and demonstrate the right visions while STEM will accelerate development. She also believes that together these should create room for every African to realise their potential and live more fulfilling lives. She is an accomplished speaker on many subjects including leadership and technology and has been on platforms such as TEDxEUSTON, Wharton Africa Business Forum, the Sanford C. Bernstein Center for Leadership and Ethics Conference at Columbia Business School and the African Development Investment Convention. She was recently featured on BBC’s Power Women series as one of the top business women driving transformational change in Africa. She was until recently the Vice Chairperson of the Ghana Chamber of Telecommunications.